Another Republican. Another announcement. Another reiteration of standard conservative policies. No big shock here, New Jersey Gov. 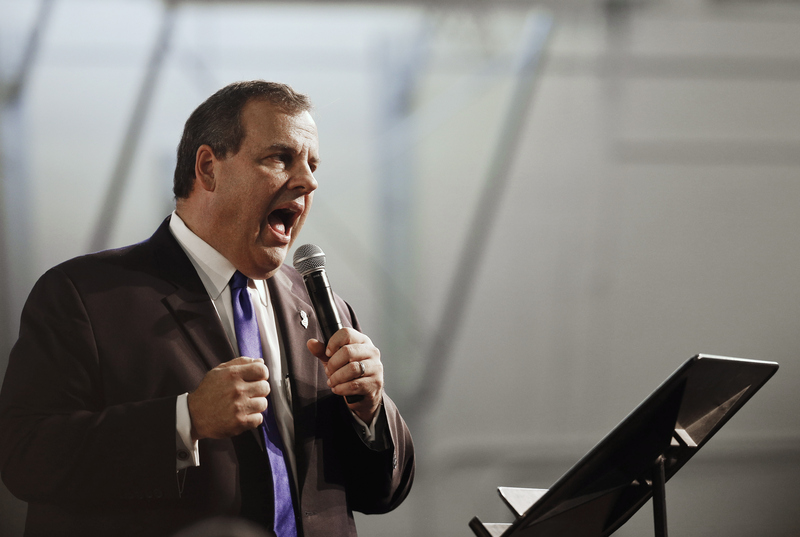 Chris Christie announced on Tuesday that he is running for president. Is it just me, or are these announcements starting to feel as mundane as old popcorn? Because we know the Republican Party and we know Christie, we can probably guess in our sleep what sort of ideologies he has up his sleeve. And we would be right! Chris Christie's policy views are what we've come to expect from his party this election season. But, since he is considered a somewhat serious contender to go up against the Democrats come November 2016, it is worth our while to take a close look at Christie's political record. When it comes to some of the biggest issues affecting the United States, Christie barely distinguishes himself from his colleagues and also doesn't give us anything new to hope for. If he's going to join so late in the campaign game, he could at least give us something new and interesting to listen to, but alas, it looks like it will be the standard party lines all throughout yet another Republican presidential campaign. Here's where Christie falls on some of the biggest issues currently facing our country. Christie has been accused of flip-flopping on education issues, according to The New York Times. Not very long ago in 2013, Christie advocated for Common Core standards in public schools. He stated he wanted to "lead the charge" on getting Common Core in schools, but then just this spring, he went back on those remarks and decided not to implement Common Core in New Jersey schools. Apart from that, Christie hasn't had too much to say about education policies, except that he backed a plan to remove state government from teachers union spending policies and suggested that garnering further funds for the teacher's union would come from reevaluating health care spending. I'm a little worried about what could happen to federal healthcare funding if Christie decides to take this sort of pull from the one necessity to give to the other on a national scale. We need viable spending plans for teacher unions and healthcare. Shockingly, Christie has admitted to donating to Planned Parenthood in 1994, but of course, he has since changed his tune on this issue. While he once openly identified with the pro-choice agenda, he is now vehemently anti-abortion and eliminated all government funding in New Jersey for the state's abortion and women's health clinics. In a 2014 speech at the Faith and Freedom conference, Christie stated "that every life is a gift from God that’s precious and must be protected." Given that Christie defunded Planned Parenthood for the sixth time during his governorship just on Monday, it doesn't seem he's likely to switch sides again on this issue. Christie has stated that he accepts climate change as real and that humans are a contributing factor to its cause. However, New Jersey remains the only state on the eastern seaboard that lacks a climate change plan, despite the fact that the Garden State is sinking into the ocean (scientists at Rutgers have predicted the state could sink up to 28 inches in the next 35 years). While, unlike many others in his party, Christie is willing to concede that humans are impacting the environment and in part causing climate change, he will not commit to how much of a role he thinks humans play in causing these problems. It still remains to be seen how exactly he would confront climate issues if he were to take the White House. The issue of denied funding for Planned Parenthood is not just an abortion issue; it's also an issue relating to accessible and affordable well-woman care. The clinics defunded in New Jersey provide many health services to women entirely unrelated to abortion services, including mammograms, HIV testing, and pelvic exams. And while Christie has supported funding and legislation that provides scholarships to women and minorities in order to increase their competitiveness in the workforce, he also vetoed a bill that would allow for employers to be held accountable for each individual act of workplace discrimination. Given the opportunity to lead the way for fighting workplace discrimination against women, Christie instead has allowed for continued loopholes for employers. Most of this should sound pretty familiar to us by now. Louisiana Gov. Bobby Jindal has all but obliterated abortion options in Louisiana; Sen. Ted Cruz doesn't have a plan for climate change; Donald Trump hates Common Core. At this point, it's high time that the Republican Party puts a lid on announcements and starts focusing on how to make their candidates stand out. Because right now, Christie and the rest of his cohort all sound like the same walking, talking bearer of scary policies. And frankly, I'm getting bored with them.